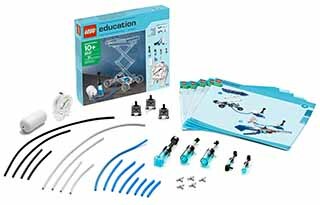 The Pneumatics Add-on Set for the Simple & Powered Machines Core Set provides five principle models and four real-life pneumatics models. Includes full-colour building instructions, pumps, tubes, cylinders, valves, air tank and a manometer. Combine with the 2009641 Activity Pack to carry out 14 principle model activities, four new lesson plans and two problem-solving tasks.